I found a recepie in one of the LCHF-groups at Facebook and got inspired and made this! Salt, pepper and I added dried thyme and chiliflakes. 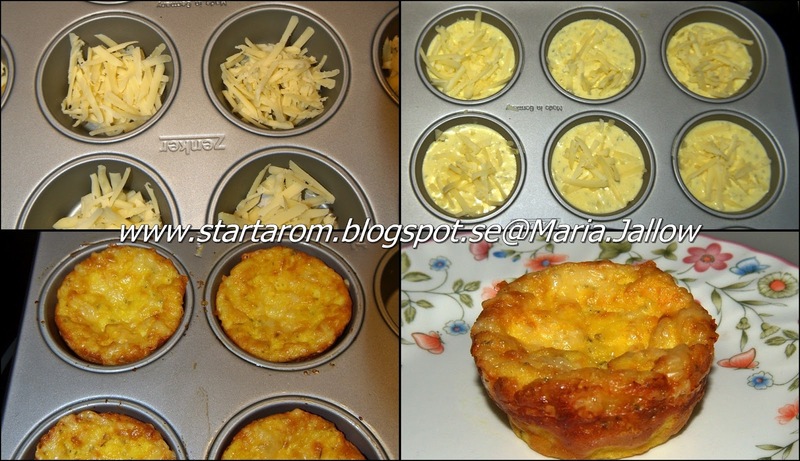 Whisk everything, except the cheese, wich you add directly into the muffin mold. 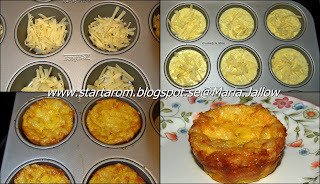 Pour the mixture over the grated cheese into the muffin mold. Bake at 200 degrees until the muffins have browned - about 20-30 minutes. When I made these so I came up with ideas that you can fill them with some other goodies, such as chopped olives, pieces of ham, small pieces of smoked salmon or similar. Things that give more character to the muffin. They were good, both hot and cold and if you make many, you can heat them up quickly in the oven at 100 degrees C, before serving them, such as at a party. Works very well as breakfast and evening snack. Or why not as something you bring with you in your bag if you are out shopping, or to a picnic? There is no Physillium husk or lots of firbrer in it, so if you are GBP-operated, the stomach wont swell in the same way as with recipes containing Physillium husk for example.